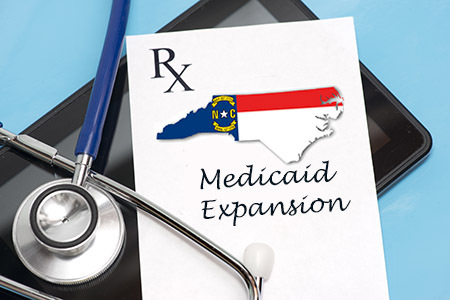 Legislation introduced last week to expand Medicaid should be welcome news to the hundreds of thousands in North Carolina who currently can’t see a doctor when they need one. House Bill 5 was introduced by lead sponsors Reps. Gale Adcock, Carla Cunningham, Verla Insko, and Jean Farmer-Butterfield, and Senate Bill 3 was introduced by lead sponsors Sens. Ben Clark, Dan Blue, and Gladys Robinson – all Democrats. A Republican-led bill is expected soon in the state House. But strict Medicaid eligibility requirements in North Carolina currently keep many parents out. Parents in a family of three cannot make more than $8,004 if they are not disabled or pregnant. Sadly, adults without children who are not disabled or pregnant can never get Medicaid, no matter how poor. As a result, many low-income women in North Carolina do not receive the pre-conception and prenatal care that is critical to the health of their babies. In 2017, nearly one-third of expectant mothers in North Carolina did not receive prenatal care during the first trimester, according to the NC Center for Health Statistics. Another reason we believe Medicaid expansion will benefit our state’s kids: More financially-stable families. It can be very hard for parents to go to work and keep earning a paycheck when they are in poor health. When people put off basic care, they wind up suffering from expensive and often preventable health crises. Even basic family finances are affected. In states that have expanded Medicaid, for example, new research found that people are 25% less likely to miss a rent or mortgage payment. That means fewer evictions and fewer kids kicked out of their housing. Record voter turnout and repeated polling have shown that access to health care is not a partisan issue. Most North Carolinians – of every political party – believe that affordable health care is a basic right, and that the system needs to change. 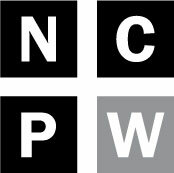 With over 1 million people in North Carolina uninsured or under-insured, the question is urgent. Nobody should have to choose between getting the health care they need and putting food on the table. But hundreds of thousands in North Carolina currently find themselves stuck with that very choice. Rob Thompson is the Deputy Director of the research and advocacy organization, NC Child. This post appeared originally on the group’s “For Children’s Sake” blog.